Join nine-time Grammy®-nominated recording artist Ledisi as she headlines the inaugural UNCF St. Louis Evening of Stars Concert Gala honoring actor, comedian and philanthropist Cedric the Entertainer at the Sheldon Performing Arts Center on July 31 at 7 p.m.
Join nine-time Grammy®-nominated recording artist Ledisi as she headlines the inaugural UNCF St. Louis Evening of Stars Concert Gala honoring actor, comedian and philanthropist Cedric the Entertainer at the Sheldon Performing Arts Center on July 31 at 7 p.m. 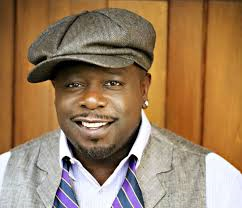 The Cedric the Entertainer Charitable Foundation has awarded more than $150,000 and assisted more than 50 students in achieving a college education since the scholarship’s inception in 2002. Proceeds from this fundraising gala will raise public awareness and further provide Missouri students with resources to get to and through college. Since UNCF’s inception in 1944, more than $4.5 billion has been awarded in financial support to students across the country. UNCF is honored to pay tribute to individuals who are aligned with those efforts. This year’s honorees also include Southeast Missouri State University, organization of the year, and Kielah Harbert and Wilgory Tanjong, youth of the year. The event is made possible by sponsors including Build-A-Bear, Ameren, Southeast Missouri State University, Wells Fargo, Ascension and Hyatt Hotels.